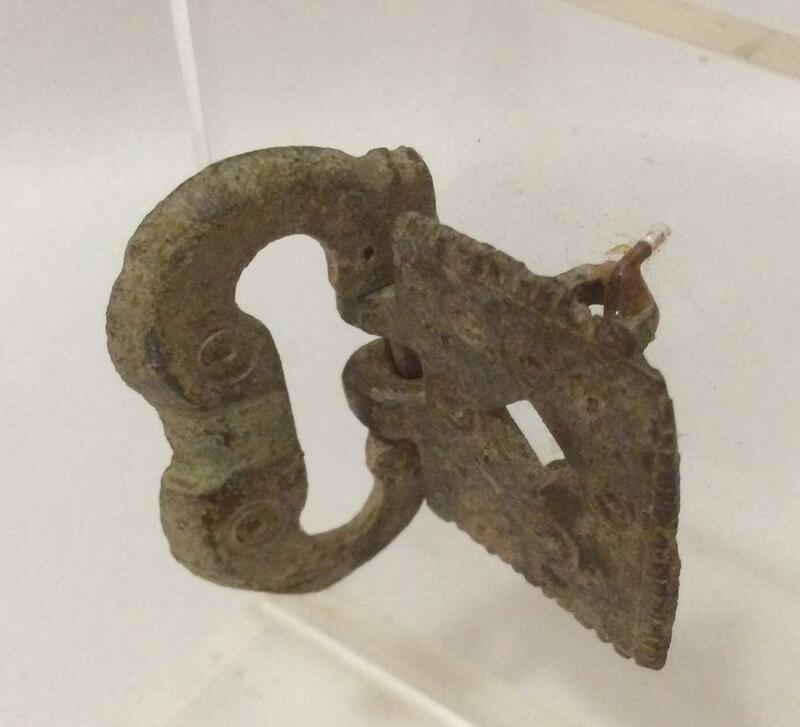 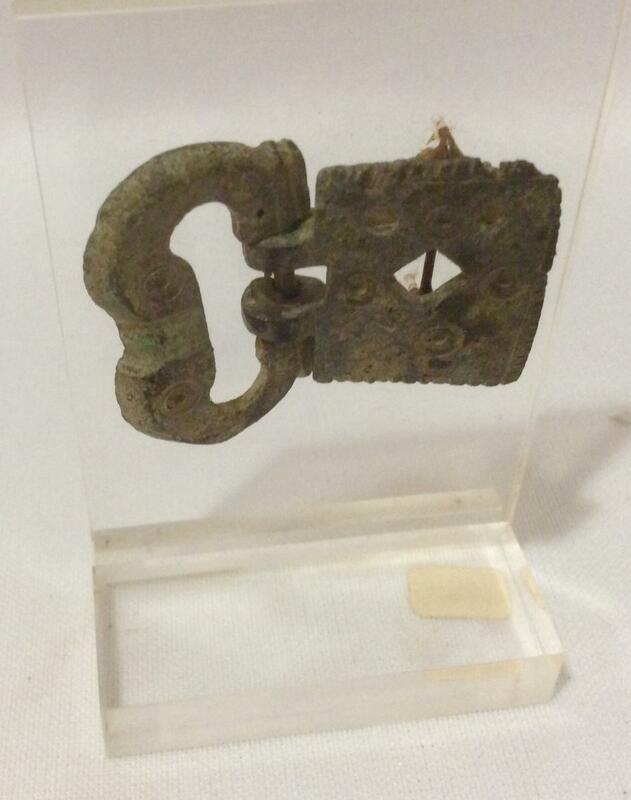 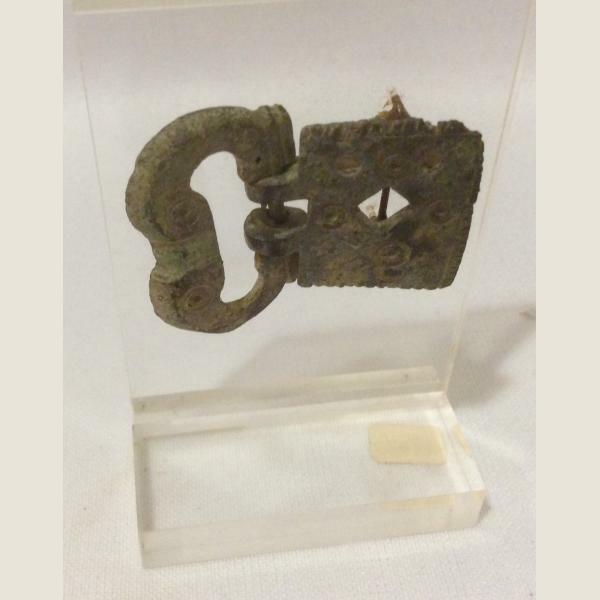 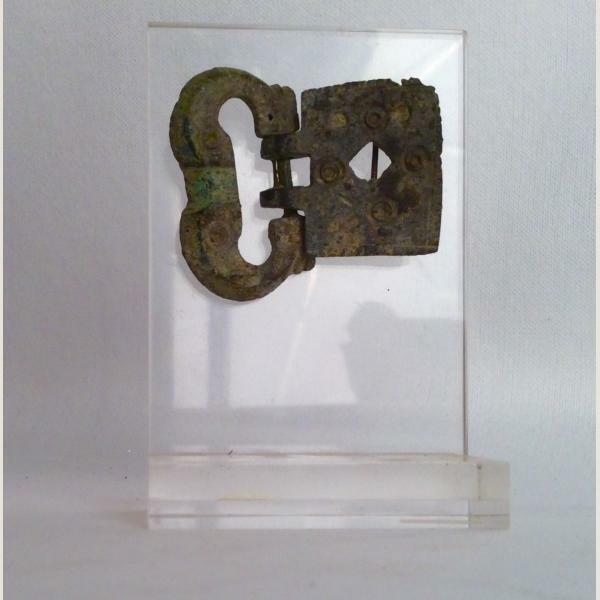 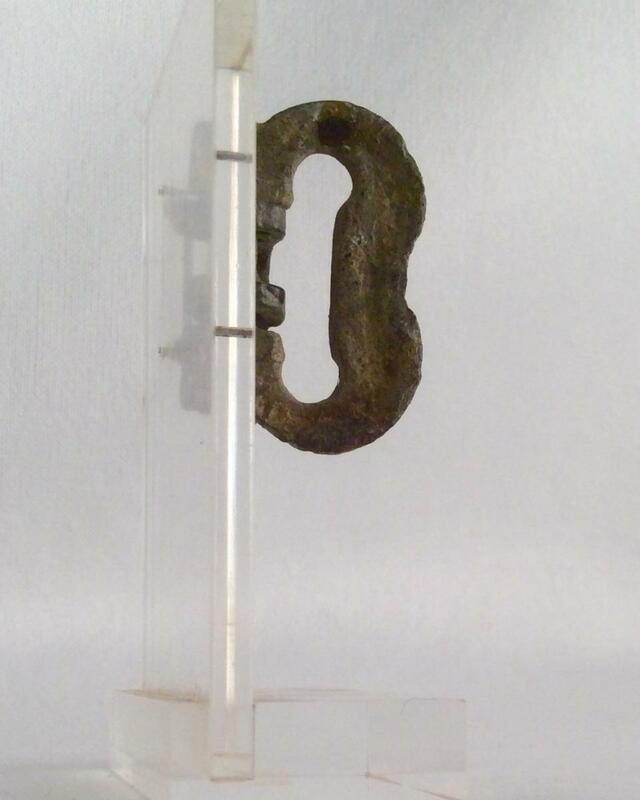 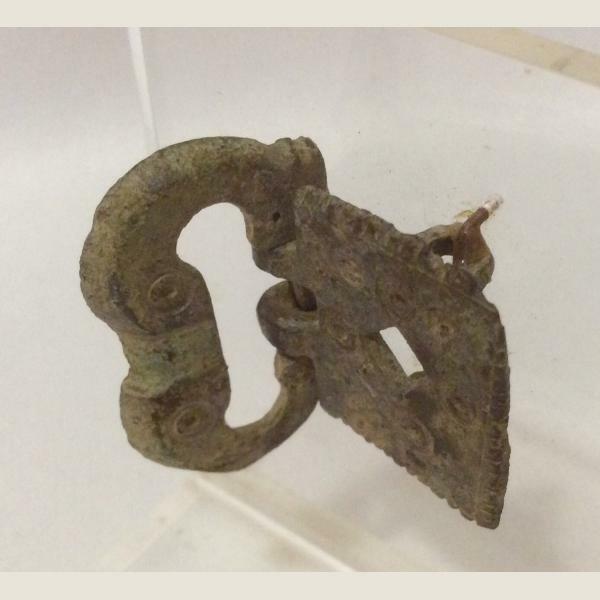 1 3/4" x 1 1/2", with stand 3 1/4" x 2 1/4"
A rare and lovely bronze buckle with serrated edges, decorative pattern of pierced circles and dots. 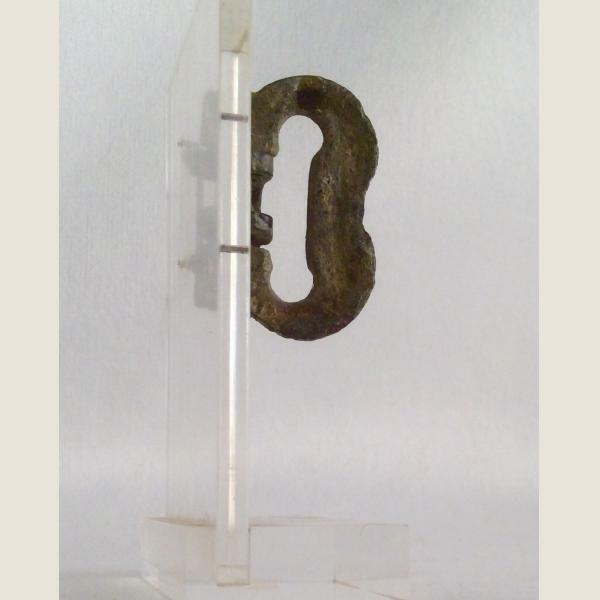 The original articulation in working condition and still swivels on the pin. Beautifully mounted on custom Lucite stand.